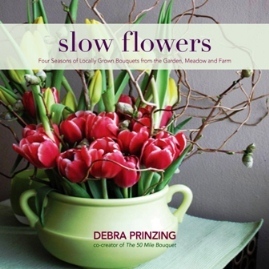 Award-winning author Debra Prinzing will introduce the emerging green flower movement, which is buying from local flower farmers, shortening the field-to-vase journey for fresh cut flowers. This artisan flower trend is taking place against the backdrop of the $40 billion worldwide floriculture industry that produces "perfect" flowers - perfect-looking, perfectly scent-less, often a week old, and shipped thousands of miles from a distant continent. More and more, consumers are discovering that "freight flowers" are a poor substitute for the heady aroma and romantic beauty of a "just-cut" flower from your garden or the nearby flower farm. Learn how sustainable growers and eco-conscious floral designers are supplying fresh, healthy, sustainably-grown blooms for their clients' celebrations and special occasions. 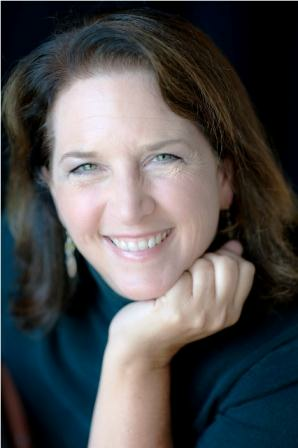 Debra is a Seattle and Los Angeles-based outdoor living expert who writes and lectures on gardens and home design. She has a background in textiles, journalism, landscape design and horticulture. A frequent speaker for botanical garden, horticultural society and flower show audiences, Debra is also a regular radio and television guest. She is the author of The 50 Mile Bouquet: Local, Seasonal and Sustainable Flowers, which was photographed by David Perry. Debra authored Stylish Sheds and Elegant Hideaways, a Garden Writers Association Gold Award book, and The Abundant Garden. Her next book, Slow Flowers, will be published in 2013. The San Diego Floral Association will be selling proteas at the meeting, perfect for holiday arrangements. You can also purchase tickets for our Feb 23 excursion to to Huntington Botanical Garden featuring a docent led tour of the recently reopened Japanese Garden. We'll only be accepting cash or check payments at the meeting. You can sign up register online with a credit card at: A Day at the Huntington. This month's plant display table theme is "Anything You Like" and Walter Andersen will be on hand to answer questions. So bring in all those late fall/early winter blooms and potted plants to show off to other members.